for an inclusive and plural society free from religious privilege, prejudice and discrimination. We may list selected events for other groups. No endorsement or responsibility implied. Always check details with organisers. Sign up for email reminders for our events. 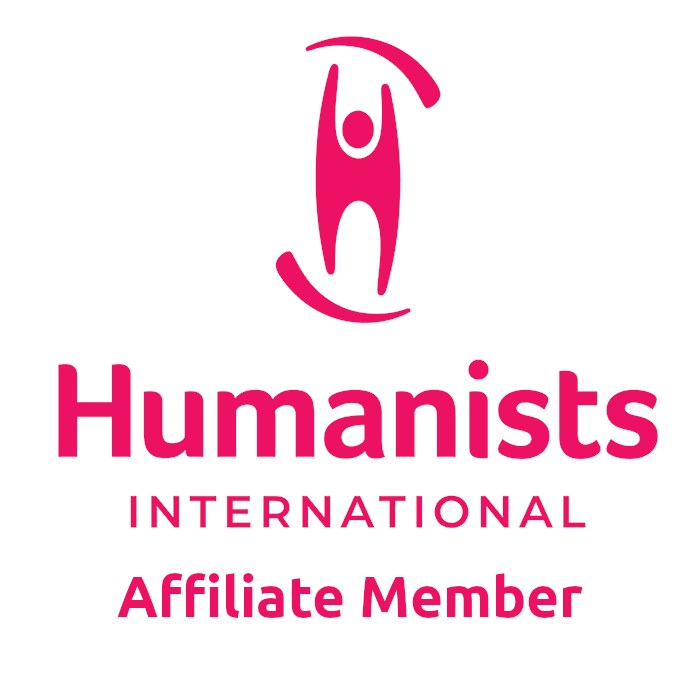 15 February 2019: The International Humanist and Ethical Union has a new name and brand. The unique, worldwide, democratic umbrella organization at the heart of the global humanist movement, founded in 1952, will in future be known as Humanists International. 1 February 2019: Spring edition of Leicester Secularist (No.80) - the choice delusion of faith schools, the far right and "Christianity", church spent £40M of public funds without proper scrutiniy - these and many other articles in 16 pages of news, comment and reviews from LSS. 9 January 2019: The Society's Secular Hall Spring Events Programme (January - April 2019) can now be downloaded here. Includes talks on air pollution by Professor Paul Monks, cricket as religion and the rise of flat earth belief..